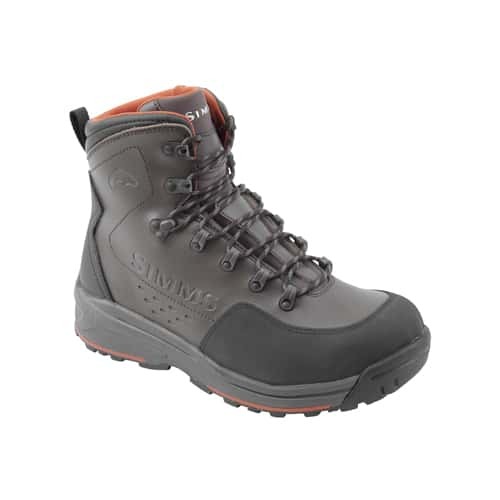 The Simms Freestone Fly-Fishing Boot is a Simms rubber sole fly-fishing boot that is extremely durable, heavy-duty, and comes with really great foot and ankle support and traction and is designed with waterproof synthetic leather and scratch rubber upper for all-around durability and also comes with a neoprene-lined collar for multipurpose hiking and wading comfort which is great. 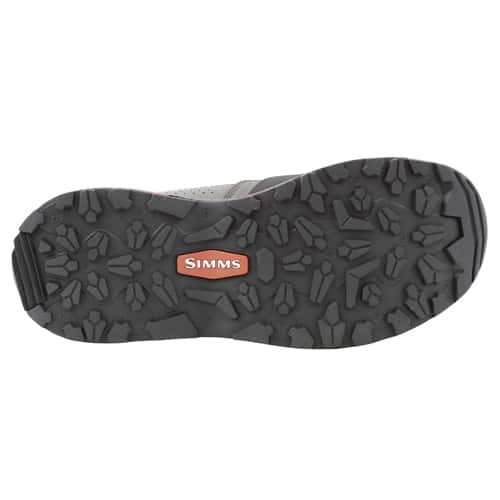 The Simms Freestone Fly-Fishing Boot is designed with a rubber sole that is built from the bottom up to overcome specific obstacles on a variety of terrains and boast innovative compounds and technical sole patterns, specifically developed to meet the challenges of several different environments and applications, so make sure to check out this Simms Freestone Vibram Fly Fishing Boot that is very innovative, durable, comfortable to wear and also really looks great. In Fly fishing, a freestone stream flows seasonally, based on the water supply. In the summer and fall, freestone streams grow warm and have reduced flow because water from snow melt is less readily available. In contrast to limestone streams, which flow over limestone and dolomite, freestone streams generally flow over sandstone, shale, and crystalline rocks. Additionally, freestone streams are supplied by runoff and snowmelt, while limestone streams are usually fed by springs, providing cooler waters and a more stable pH balance.